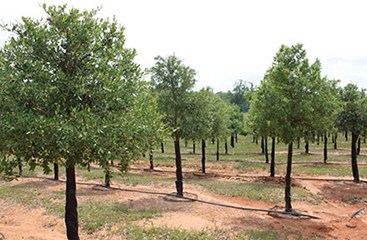 Lassiter Tree Farm Manager, Eric Hall, is a graduate of Stephen F. Austin University with a BS Degree in Forestry Management. Superior health and vigor of the trees are maintained through tissue, soil, and water samples that are laboratory analyzed and monitored throughout the year. 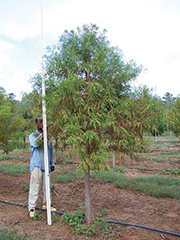 Trees grow taller with a more established root system and remain healthy for the lifecycle of the tree.